Your Trusted, Local TPA Airport Car to and from Springhill FL. Welcome to Spring Hill Airport Car Service! We offer Point to Point Luxury Car service in Spring Hill and Tampa Bay. We provide Town Car & Limo to Tampa Airport, St. Pete - Clearwater Airport, Tampa Port, Limo and Limo Bus services. We also provide medical transfers in Spring Hill FL, as well as local package delivery - messenger services for local business and Hospitals. We are licensed, properly attired, courteous and have years of experience and extensive knowledge of Tampa Bay and surrounding cities. Weeki Wachee Town Car service, Brooksville Town Car service, Spring Hill Town Car service, Ridge Manor Town Car service, Hernando Beach Town Car service, Lake Lindsey Town Car service, and Masaryktown Town Car service. Hernando County Airport Car. BKV airport car service. Car service to Quarry Golf Course. Car service to Jerome Brown Community Center. Car service to Market on Main Street City of Brooksville, FL. Car service to Hernando Chamber of Commerce. Brooksville Regional Hospital Car service. Spring Hill Regional Hospital Car Service. Columbia Oak Hill Hospital Car Service. Car service to Dade City Pasco Regional Medical Center. Car service to Hudson Regional Medical Center Bayonet Point. Car service to New Port Richey Community Hospital. Downtown Tampa Town Car service, New Tampa Town Car service, West Tampa, East Tampa, North Tampa, and South Tampa Town Car service. • Sarasota-Bradenton International Airport Town Car Service (SRQ) (IATA: SRQ, ICAO: KSRQ): Located between both Bradenton and Sarasota. • St. Petersburg-Clearwater Airport Town Car Service (PIE) (IATA: PIE, ICAO: KPIE); Located in Feather Sound between St. Petersburg and Clearwater. General Aviation airport Town Car Services. located near Downtown St. Petersburg. St Pete Town Car Service. Town Car to Bartow Airport. Town Car to Clearwater Airport. Town Car to Crystal River. • Hernando County Airport Town Car Service (ICAO: KBKV, FAA LID: BKV) is located near Brooksville. Town Car to Lake Wales, FL. • Peter O. Knight Airport Town Car Service (IATA: TPF, ICAO: KTPF) is located near Downtown Tampa. Town Car to Plant City. Town Car to Temple Terrace. Town Car to Venice, FL. Town Car to Winter Haven. Town Car to Zephyrhills, FL. MacDill Air Force Base MacDill Air Force Base Town Car Service (ICAO: KMCF, FAA LID: MCF) is located in South Tampa. Coast Guard Air Station Clearwater Town Car Service and an Army Aviation Support Facility of the Army Reserve Town Car Service at St. Petersburg Clearwater International Airport (KPIE / PIE). Oldsmar Town Car Service, Palm Harbor Town Car Service, Tarpon Springs Town Car Service, Dunedin Town Car Service, Egypt Lake Town Car Service. 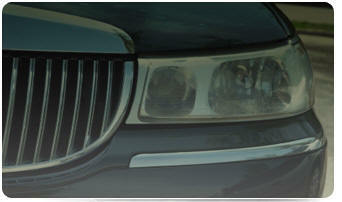 Lutz Town Car Service, Land O' Lakes Town Car Service, Carrollwood Town Car Service. Temple Terrace Town Car Service, Thonotosassa Town Car Service, Wesley Chapel Town Car Service, Mango Town Car Service. Clearwater Town Car Service, Largo Town Car Service, Indian Rocks Beach Town Car Service Tampa, Madeira Beach Car service, Car service to Redington Beach. Car service to John's Pass. St. Petersburg South: Apollo Beach Town Car Service, Ruskin Town Car Service, Sun City Town Car Service. Riverview Town Car Service, Gibsonton Town Car Service, Boyette Town Car Service. Ybor City Town Car, Forest Hills Town Car, Sulphur Springs Town Car Service, Seminole Heights Town Car service, Tampa Heights Town Car service, Palma Ceia Town Car service, Hyde Park Town Car service, Tampa Palms Town Car service, College Hill Town Car service, Westshore Town Car service.